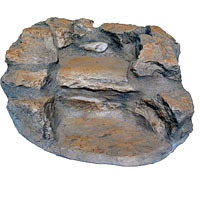 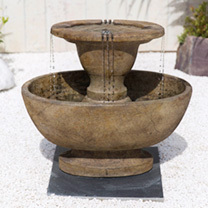 A beautiful hand finished cast stone water feature with an antique style finish, is timeless with a classical design being robust and durable. 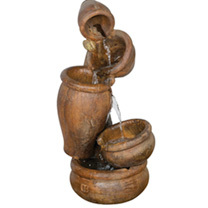 This simple, yet striking, 2 tier miniature fountain will complement traditional and modern gardens alike. 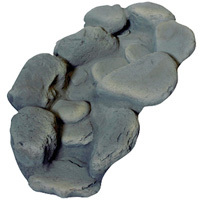 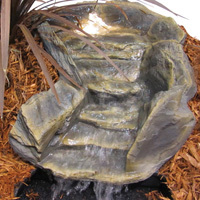 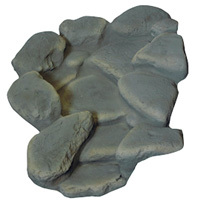 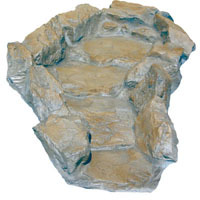 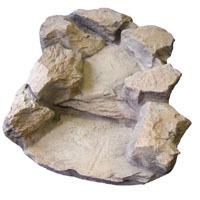 This waterfall could easily be mistaken for real stone at the edge of your pond.This natural theme is enhanced by the hidden hosetail feed pumped water appears magically on the face of the watercourse without the need to hide any pond hose. 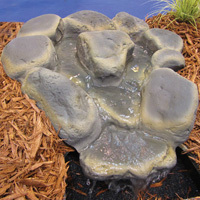 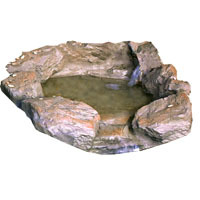 Enjoy your pond water as it flows through this realistic looking stream watercourse. 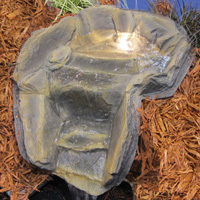 Incorporating turns and falls your water will return to the pond full of life supporting oxygen. 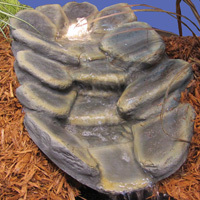 Create a realistic natural looking waterfall for your pond. 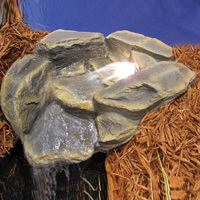 Handmade and hand finished these waterfalls are as close to nature as possible. 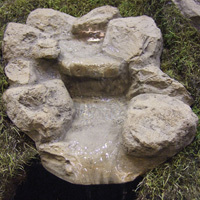 Sparkling water tumbling down a natural looking cascade brings an extra dimension to your pond. 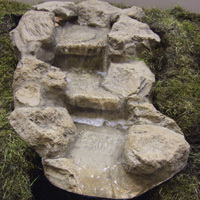 The Single Step Feature is a waterfall incorporating a natural looking 'step'. 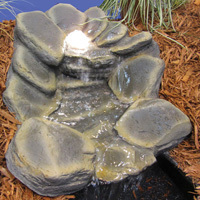 Enjoy the effect as your pond water fed by hose inlet discreetly hidden zips across the waterfall, drops down a fall and then crashes through the spillway at the end. 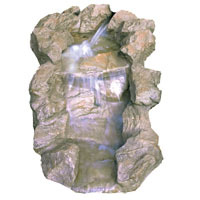 Feature a 20 32mm hidden hosetail and discreet water entry area.This means a pond pump to feed the water can be easily attached and once running the water appears naturally at the top of the fall.